The new women’s beer group Brewers Broads, seems to be picking up a lot of traction quickly. Their event last month sold out quickly and the newest one might be one of the more fascinating events in their four part series. We learned that each month they will have an educational presentation about one of the four ingredients in beer (yeast, water, malt, hops). Last month’s Yeast presentation was led by Ken Andrews of Bristol Brewing. 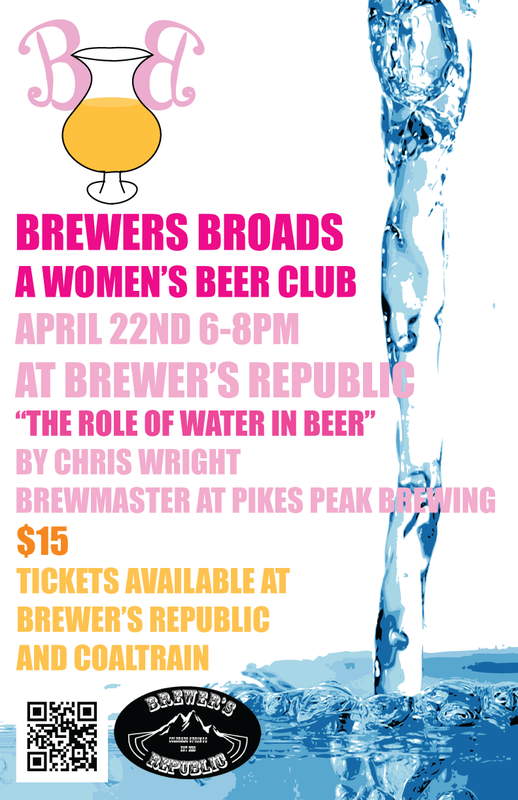 This month, Chris Wright the owner and brewer of Pikes Peak Brewing will lead a talk on the importance and effects of water in brewing. Believe it or not water can make a huge difference in the taste and outcome in a beer, and from what I’ve heard Chris Wright is pretty intense about his water! Session Beer Day is Sunday!